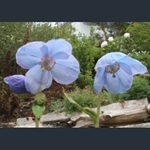 Perennial blue poppy with super propeller-shaped petals; large toothed leaf. The wonderful Himalayan blue poppy. 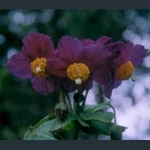 A strain of the 'blue' poppy with reddish purple flowers with yellow stamens. 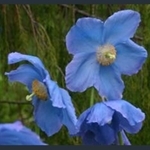 Very good form of one of the blue poppies, vigorous and a good blue colour. Blue poppy with large, globular, silky, soft blue flowers. Blue poppy with deep blue, frilly, open cup-shaped flowers. 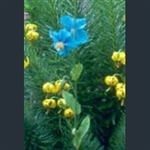 Tall, vigorous, late season blue poppy, with clear blue flowers. 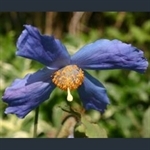 Blue Himalayan poppy with huge, rich blue flower. Superb blue poppy, with large, sky-blue flowers.